It’s been SO cold here! I have out-of-town guests who wanted to see Multnomah Falls today — the road was so icy and the wind was so crazy we didn’t last long. This would have made the best warm-up drink! Next time for sure! 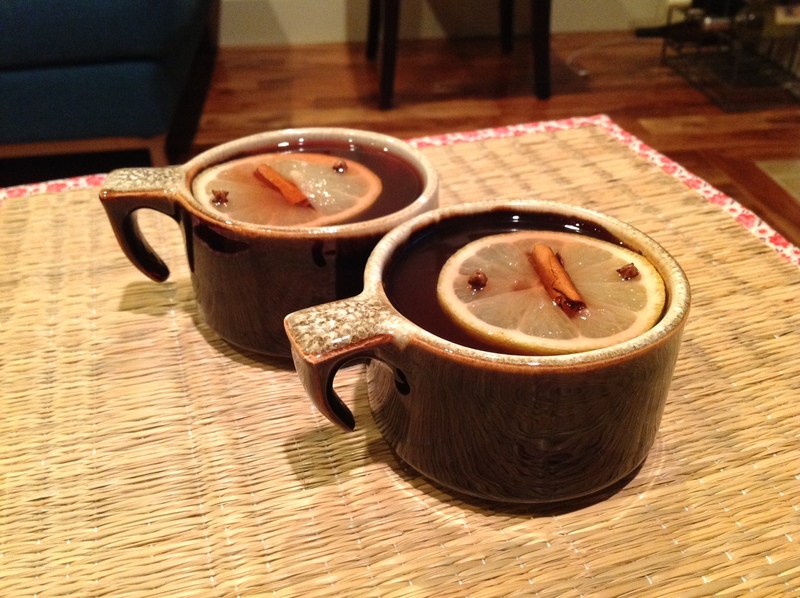 we have plenty of snow already here in Minnesota–definitely time to whip up a toddy! Thanks for a new recipe 🙂 Still a fan of infusing booze myself. And I used my last batch (candy corn vodka) to make candy corn marshmallows so the fun continues 🙂 Good to see you posting again. Hi Kelli, I have missed you! I can’t believe it is snowing there! What a crazy winter already… And it is not even really winter yet! Cranberry juice is a perfect addition – a little punch of tartness. I have some bourbon on hand, so I will have to make this one! 😉 We just had our first snow this week here in Denver and dealt with lows in the single digits (even a couple of negatives!). Ironically, I purchased my first seriously warm vest during my last visit to Portland, expecting the weather to be rainy and cool. But the temps hovered around 85 with the sunniest of skies! I almost returned the purchase at the airport, but I am happy I held on to it! I am missing the longer days, as well. Happy to see a post from you! Fabulous! I’m going to make your gingerbread liqueur again soon! Happy Holidays! Hi Mimi, thanks! Happy holidays to you too! I am SOOOOOOO digging this! Cranberry has been high on my agenda this season. I always have an obsession each season, and this time it’s fresh cranberries. and I totally agree about the 100% cranberry juice over cranberry cocktail! Thanks Trish! It is a shame that cranberry season doesn’t last longer! Thanks! Cheers to staying warm and cozy this holiday season!